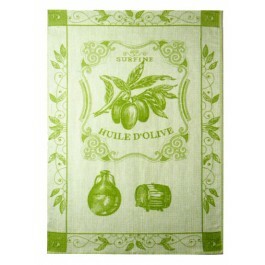 TheOlive oil jacquard dish towel will brighten your kitchen and your day. 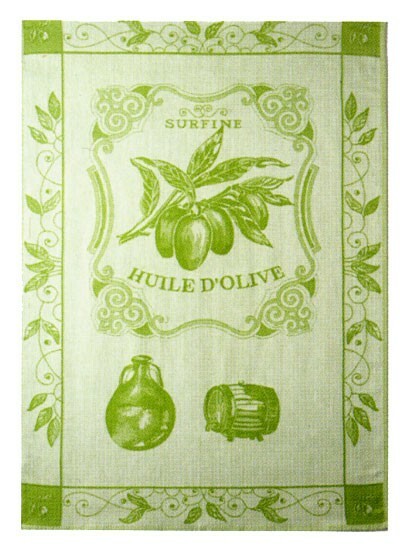 This towel measures 20" x 30" and feature a detailed illustration woven into the towel . Beautiful and soft, these towels will serve you well. Size is: 20" x 30"